These jewelry boxes are made to show off your business from the classy, glossy surface to the customized imprints on the exteriors. 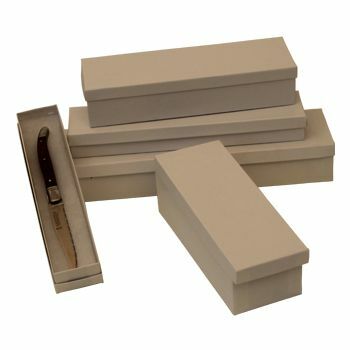 Each box is completed with top, metallic handles for portability. 8 X 8 X 0.62"
9.5 X 7 X 0.62"
11 X 4.5 X 0.75"
14 X 3.75 X 0.75"
14 X 4.5 X 0.75"
These exceptional two piece jewelry boxes are available in four different sizes for earrings, necklaces, pins, and bracelets. Buy a white swirl jewelry box for your antique necklace or a kraft jewelry box for all those pins and earrings that are lying in your drawer. They come with peach board inserts and a lid to ensure that your valuables stay safe from any damage. You can either buy them individually or order a complete set containing all four sizes.